The major biennial three day event that is the Australian Auto Aftermarket Expo gathers Australia’s and the world’s leading automotive aftermarket industry manufacturers, marketers, re-sellers and customers and Monroe Australia says it is proud to be so intrinsically involved in this important event for the fifth year running as major sponsor. 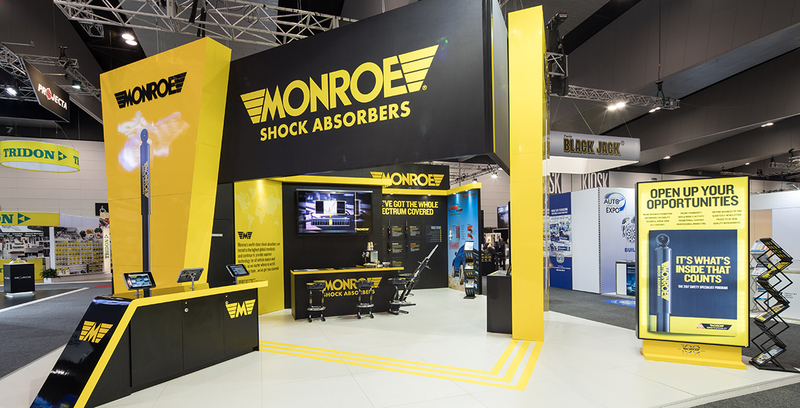 As the AAA Expo continues to be the major showcase of the Australian automotive repair, service and parts industry, Monroe says it continues to grow as the Australian automotive repair trade’s clear number one choice for shock absorber replacement. The introduction of the industry’s first five-year warranty on all Monroe OESpectrum replacement shock absorbers continues to be the only five-year warranty commitment in the Australian market, it says, ensuring total peace of mind for installers and consumers. 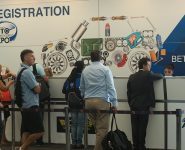 “The AAA Expo is an outstanding Australian trade event for our industry and the exhibition’s growth over the years also makes it a must-attend event within the Asia-Pacific region,” Monroe Marketing Manager, SEAP, Brydon Tweddell, said. 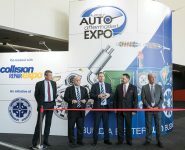 “As the market leader in aftermarket ride performance products both in Australia and in many markets around the world, partnering with the AAA Expo as the event’s major sponsor is a great fit. 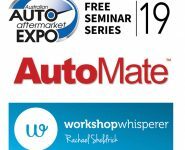 “It aligns one of Australia’s premier automotive aftermarket brands with Australia’s premier automotive aftermarket event. 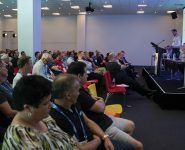 Monroe’s unrivalled longevity in the Australian and international automotive aftermarket industry will also be celebrated at the 2019 AAA Expo. The company’s century of operations makes it a true veteran of the worldwide automotive aftermarket industry. A veteran that continues to proudly design, test and manufacture ride performance products in Australia. “By having a major presence at this major industry event, we want to make our customers aware of how highly we value being their number one choice for replacement ride performance products. We enjoy the face to face customer interaction that comes with every AAA Expo and look forward to one of the industry’s best ever events in Melbourne this April,” Brydon said. Monroe Australia will be joined by hundreds of other Australian and international companies who will be exhibiting at the 2019 AAA Expo from April 4-6 at the Melbourne Convention and Exhibition Centre. You are invited to visit Monroe Australia at Stand J28 throughout the 2019 AAA Expo.